Xarello is a high quality Catalan with strong personality used to make the sparkling Cava. Xarello or the so-called Xarel-lo grape variety is found primarily in the northeastern part of the Catalonia region in Spain. The Xarello grape is believed to be a high quality Catalan with a healthy and strong personality used in making firm wines both still and sparkling. It is one of the three traditional grapes in the production; the other two grape varieties are the Catalan indigenous grape Parellada and Macabeo better known as the Viura, the main white grape of Rioja. Xarello grapes and wines are produced in different parts of the world, but the primary and the most successful producer is Spain. This grape variety is best valued by winemakers since it can actually produce wines of different styles specifically the sparkling Cava wine. The name Xarello was first mentioned as Xerello in 1785 in Sitges in Penedès, which is believed as its place of origin. 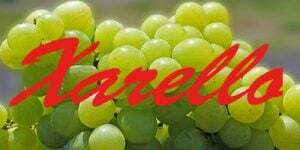 Historically, the name Xarello came from the Italian word “chiarello”, which means “claret”; a word that refers to light red colored wine. Based from the DNA profiling done, maybe Xarello is related to Macabeo that is frequently blended or sometimes even obscured. The pink-berried mutation of this grape variety known as Xarello Rosada or Pansa Rosada can be found close to Barcelona and authorized in the Alella DO. Xarello is absolutely valued by winemakers because of the acid structure it gives to wines and stands out as one of Spain’s finest white wine grape varieties. This variety is known to have compressed bunches of thick-skinned and medium-sized berries.and are adaptable to any soils. The grapes bud and ripen neither late nor early depending, on the season in the vineyard and also known as prone to coulure wherein they become productive when the flowering season is good enough. Aside from coulure, Xarello is also susceptible to powdery and downy mildew but has high shield for other diseases such as botrytis bunch out. Catalonia acknowledges Xarello as its highest quality skinned grape variety for the production of age worthy still whites and sparkling Cava wines. Aside from the production of sparkling wines, Xarello is also used in the creation of table wines, produced around the town of Alella. 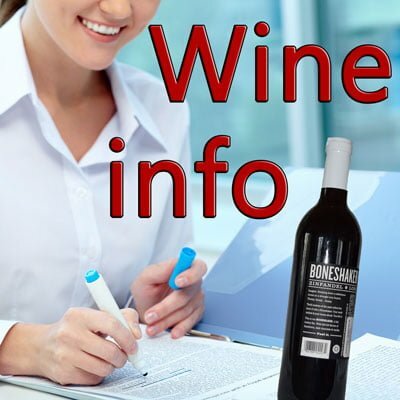 These wines are highly acknowledged in the industry because of their lemon-like acidity as well as stone fruit flavors. Xarello provides powerful aromas in the blend, which is believed that Cava sparkling wine has as its strongest characteristic. Xarello wines deserve to have great food pairings. The notable wine characteristics can be paired well with hearty fish dishes like swordfish and halibut with garden vegetables as side. It can also be a great match with dishes like fresh herb ingredients such as basil, parsley, thyme and oregano. Just like other Spanish wines, the broad and lush flavors can always be considered keys to successful and unforgettable food pairings.